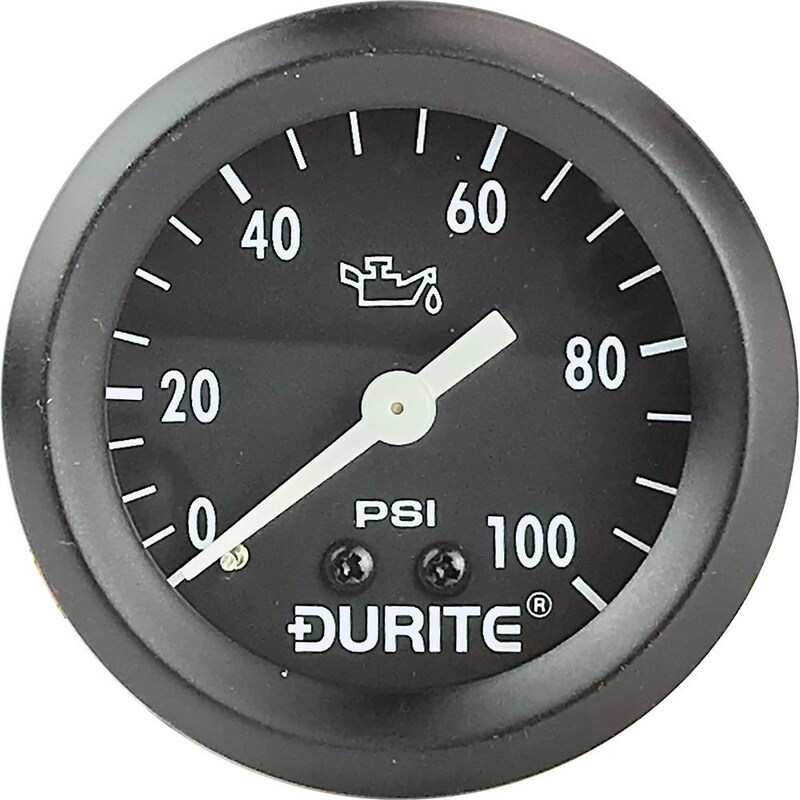 FULL SWEEP MECHANICAL OIL PRESSURE GAUGE. Fits in a 52mm hole in your dash. The twelve foot (3.6mtr) copper capillary connects to the back of the gauge with a 1/8” NPTF union. Three brass adapters offer engine adapter threads of: 1/8" NPT male, 1/8" NPT Female and 1/4" NPT male. Illuminated display, with 12 and 24 volt bulbs. Fitting clamp, fixings and instructions included. Fitting clamp, fixings and instructions included.